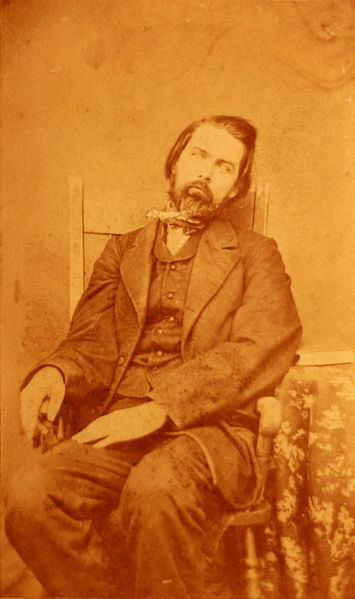 In modern America, photographing the dead is something done by the police. 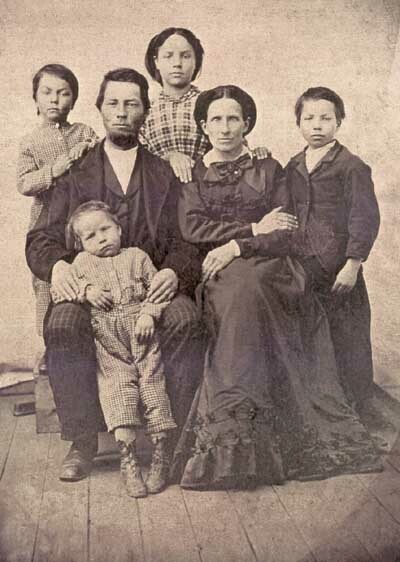 But in the early 19th century, families would pay to have post-mortem photographs taken of deceased loved ones. 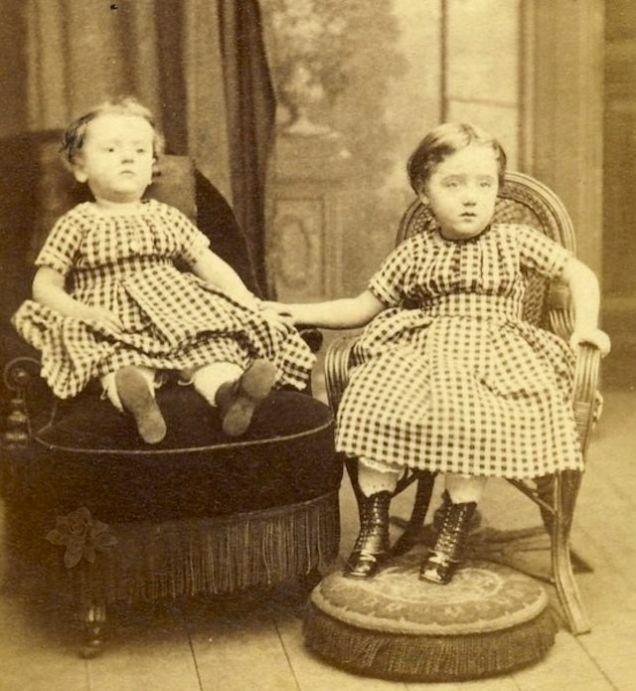 As creepy as it sounds, these pictures were considered a cherished possession and would help families and friends mourn. The bodies would often be propped up to look as if they were still alive, or just “resting”. 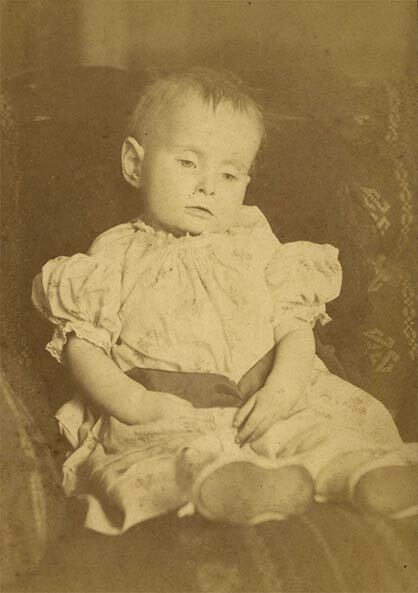 Post-mortem photography is a shocking example of how customs surrounding death have changed in the past century. 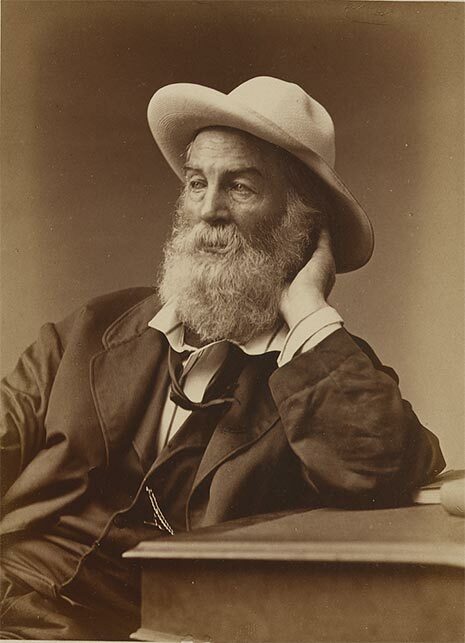 An elderly man propped up to look relaxed. 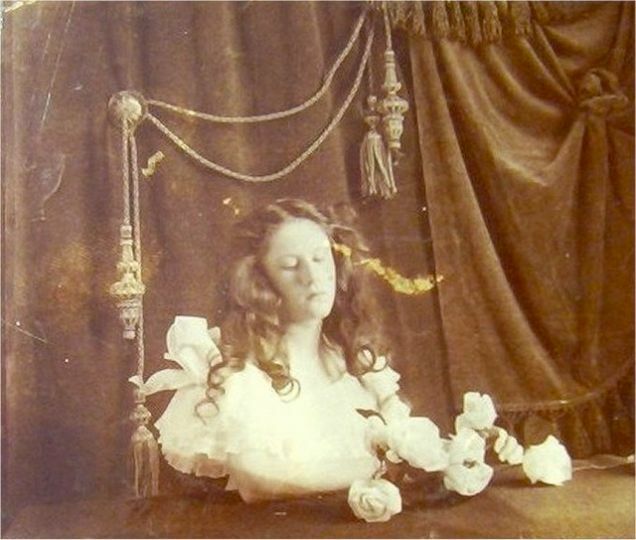 In some portraits you can see the apparatus used to help the deceased “stand”. 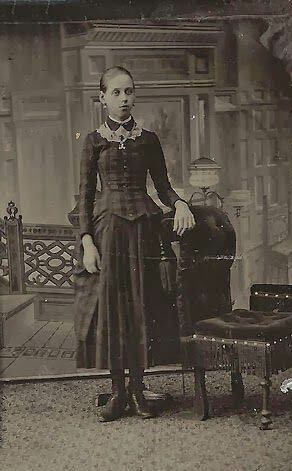 In this picture, the wooden base of the device is visible behind the subject’s feet. 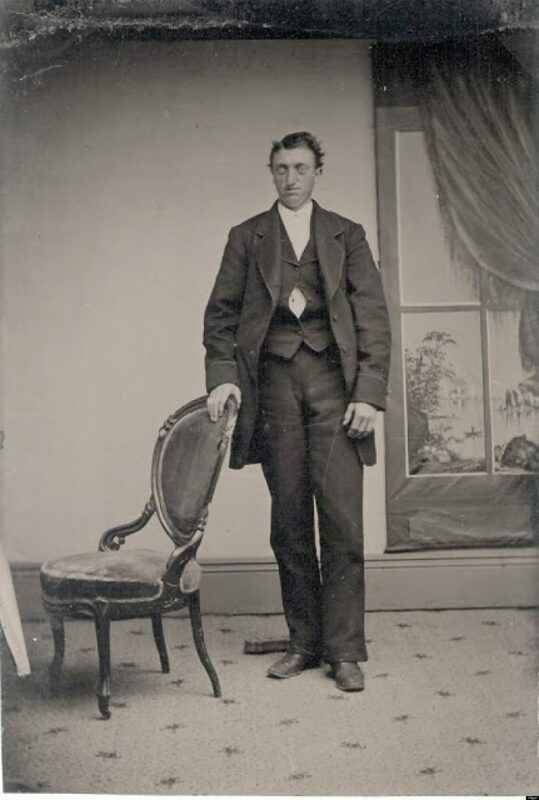 This man was arranged to appear as if resting in a rocking chair. 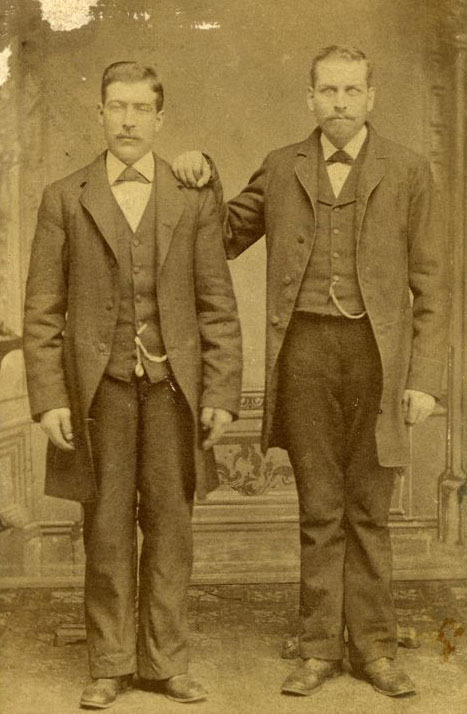 Two lifelike brothers posed side by side, you can see the base of both fixtures set up to help them stand. A woman poised to appear as if arranging flowers. 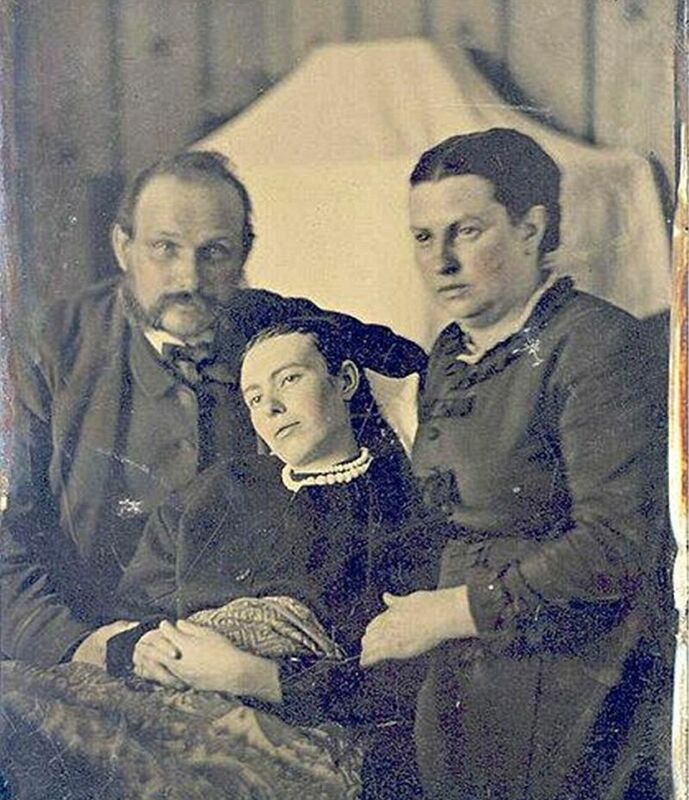 Two grieving parents photographed with their deceased daughter. A young woman standing with the help of an apparatus, visible behind her feet. 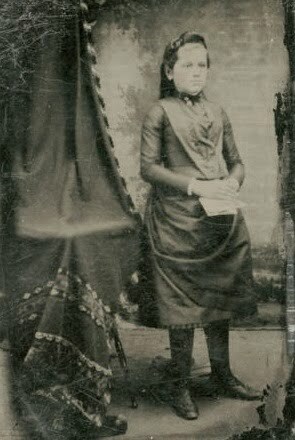 Another young woman positioned to be standing, the device holding her up is hidden behind the cloth on the left. 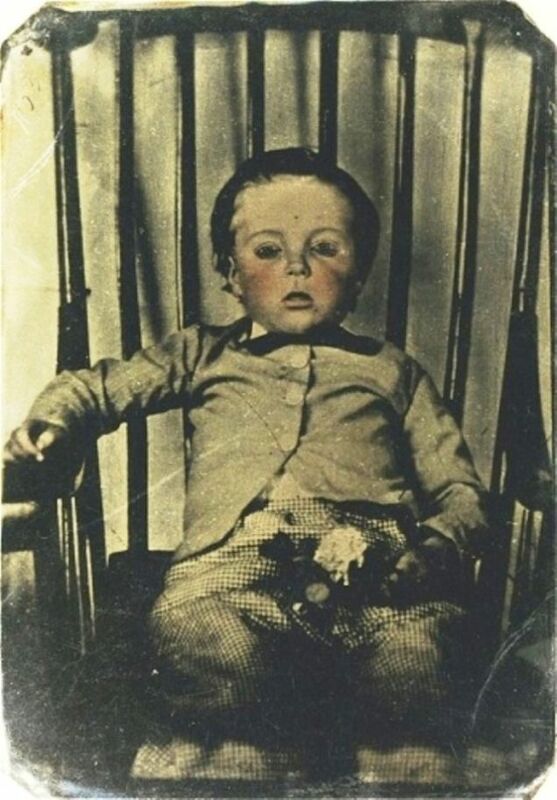 A young deceased boy is positioned in a rocking chair with eyes open. 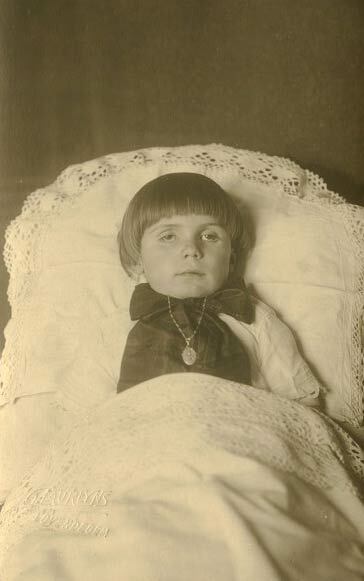 A deceased boy is laid upright in bed with eyes open. 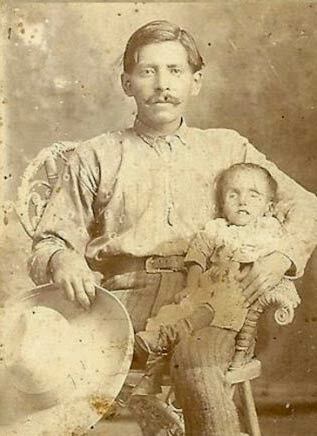 A father holds his deceased son on his lap. 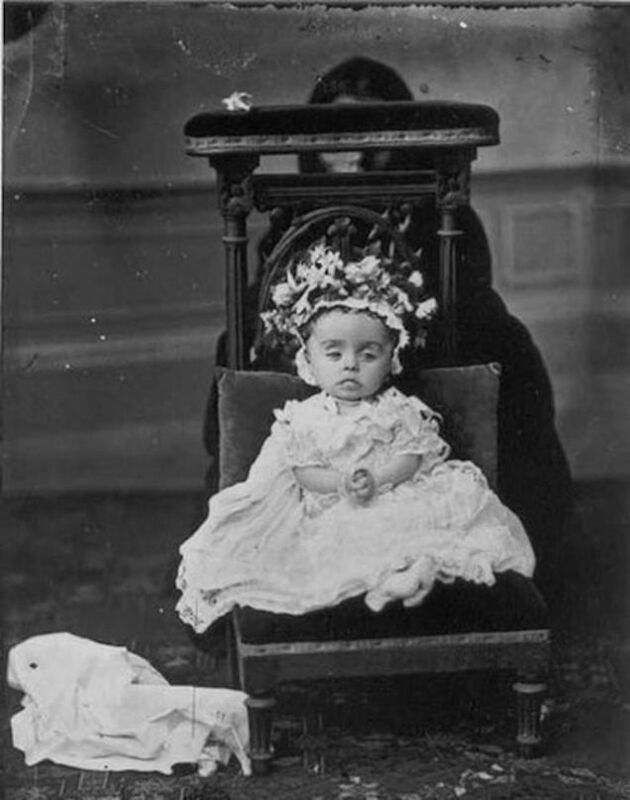 A deceased baby girl is set upright in a chair, the person visible behind the chair is most likely holding the girls head up. A young girl holds hands with her deceased baby sister. 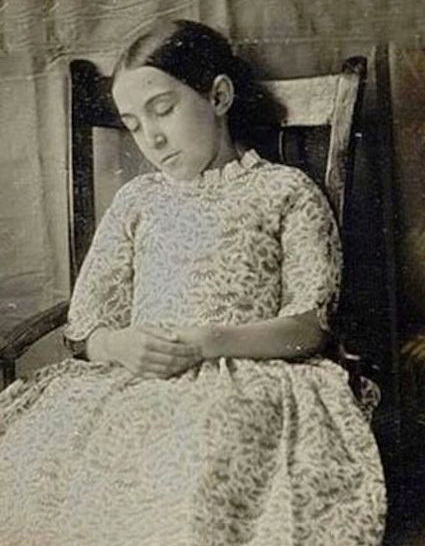 A girl arranged to appear as if resting in a chair. 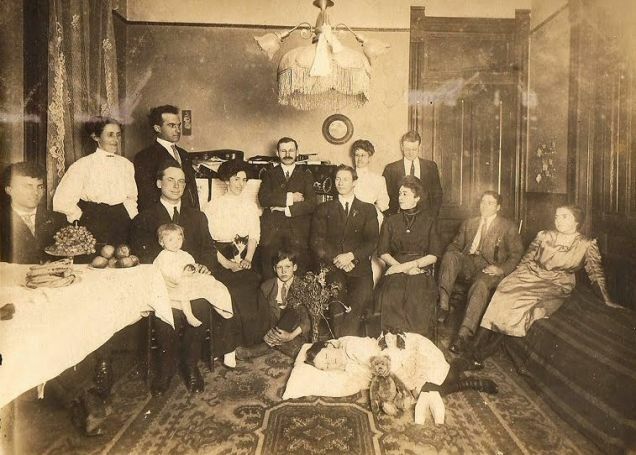 A family poses around a recently deceased daughter, positioned to look like she is sleeping in the middle of the floor. 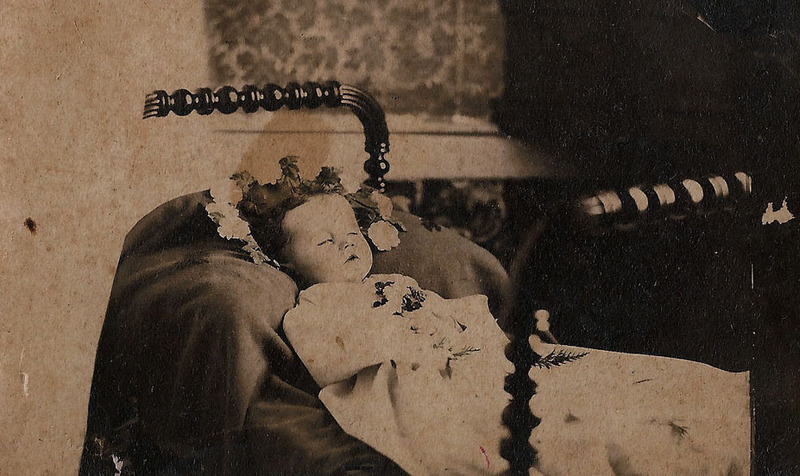 An deceased infant laid peacefully in her crib. A baby girl positioned upright in a chair. 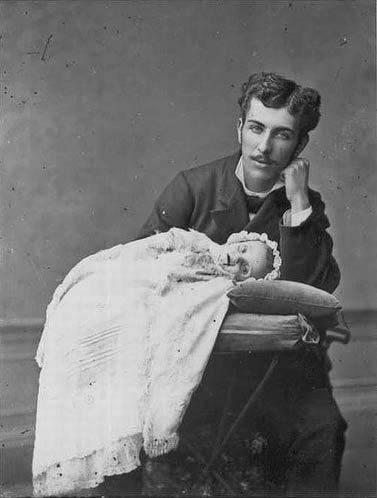 A father poses with his deceased baby. 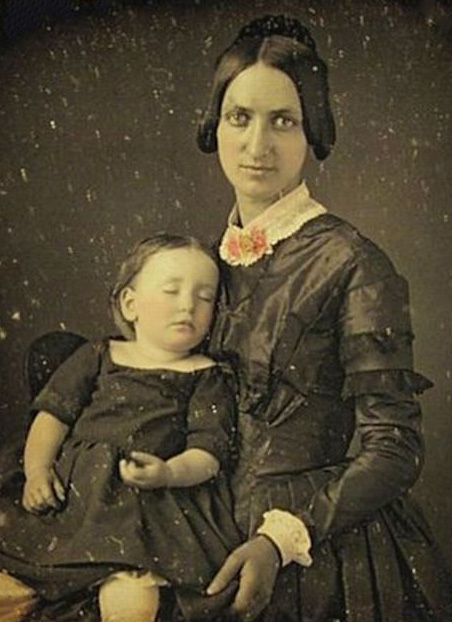 A mother holds her deceased infant daughter on her lap. 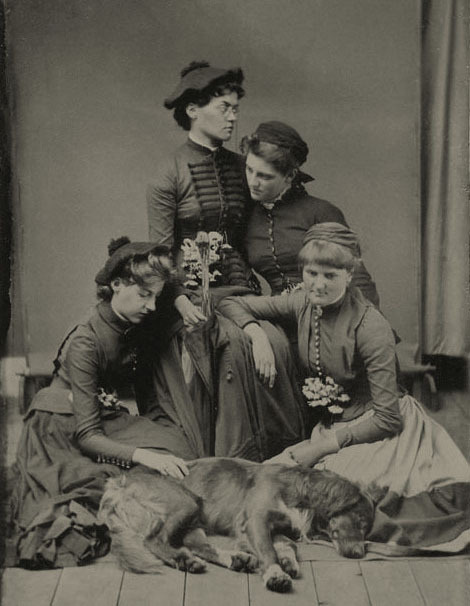 A group of women pose around their deceased dog.